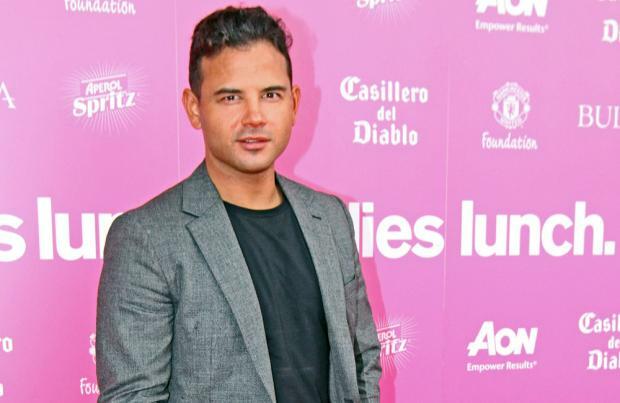 Ryan Thomas has signed up for 'The Island'. The former 'Coronation Street' star - who spent 16 years on the cobbles as Jason Grimshaw before his departure in 2016 - will take part in Bear Grylls' brutal Channel 4 survival reality show, two years after he signed up for Bear's old ITV show 'Mission Survive' but was dropped over concerns surrounding his "busy personal life". A source told The Sun newspaper: "Ryan is really looking forward to testing himself on 'The Island'. He was excited to take part in 'Mission Survive' a couple of years ago but it was decided by all involved that it might not be the most appropriate time given his busy personal life. He hopes he can give it a proper crack this time round." The news comes after it was recently reported that Ryan is at the top of ITV bosses list to head into the jungle this year for 'I'm A Celebrity... Get Me Out of Here!' after his younger brother Adam - who stars in rival soap 'Emmerdale' - proved a hit with viewers last year. A source close to the 32-year-old actor said: "There was speculation before Adam went into the jungle [last year] that maybe Ryan would do it - but circumstances went against that and Adam went in and did brilliantly. "Ryan would be superb in the jungle and there has never been a family member following a family member into the outback ever in all the series. "Fans would no doubt get behind him like they did Adam, and it'd be interesting to see if he reacts to the bushtucker trials in the same funny way." Meanwhile, Ryan - who has seven-year-old daughter Scarlett with his ex-girlfriend Tina O'Brien - has recently been trying to carve out a career in Hollywood. Ryan said when he announced his decision to leave 'Corrie' to pursue other things Stateside: "I feel like sometimes you go round in circles with storylines and being in a soap is like being in a bubble. It's time to pop it, test myself and take myself out of my comfort zone."